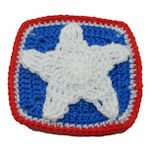 Tapestry Crochet Easter Egg -- A free Crochet pattern from Julie A Bolduc. Even though it is made of yarn this egg could be easily made of thread instead. It uses a technique I recently learned how to do Tapestry Crochet. 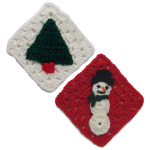 A method of crocheting 2 colors at a time carrying one color along as you work the other color.